Anna Valley Displays took LED display to a higher level when they built their biggest TOSHIBA High Resolution 6mm LED wall to date at Old Billingsgate in London. The event was JCB’s spectacular awards cabaret dinner for their International Dealers. Anna Valley currently holds the largest stock of Toshiba’s premium 6mm LED product. Tim Oliver from Anna Valley said ‘the Toshiba wall is proving to be extremely flexible as it enables Production Designers & Stand Designers to be even more creative with this LED product. 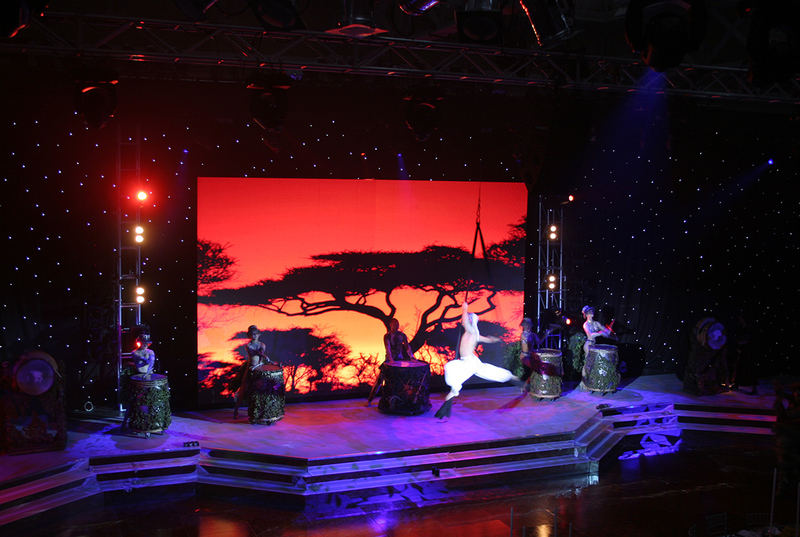 The wall can be curved and fragmented to create stunning effects and is optimised for HD’. 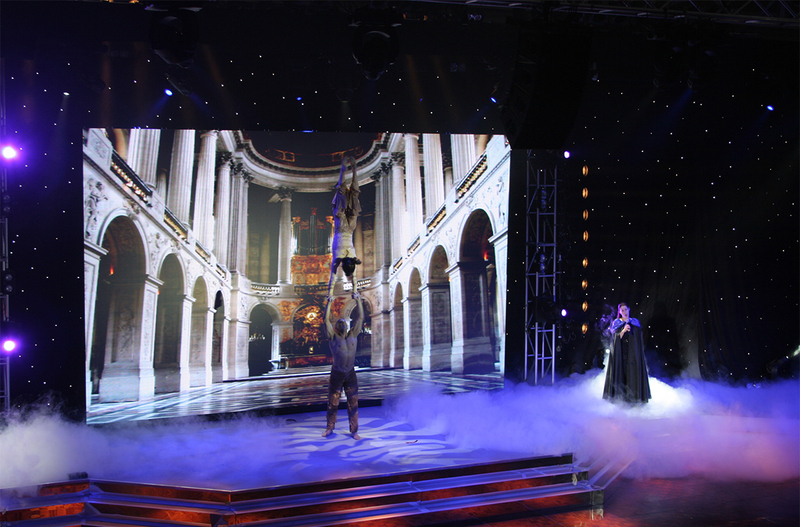 This dinner and award spectacular used a total of 200 panels and measured 7m x 4.5m and provided the backdrop to a live cabaret show.